Brolly. Noun. An Umbrella. Chiefly British. The use of an umbrella to represent coverage and protection has a long history among companies in the insurance industry. Brolly was the latest, until Travelers bullied them into changing their logo. 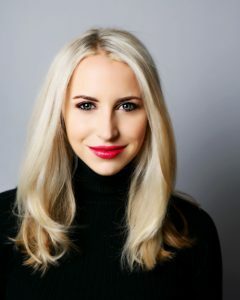 Co-founded in 2016 by Phoebe Hugh, Brolly is developing a digital, personal insurance concierge to make it easy for you to get on top of your insurance policies. The service will launch in the UK first, and a beta version is currently available by invitation to early adopters. The Brolly app serves three functions: helping users understand insurance, manage insurance, and buy insurance, called Advisor, Locker, and Shop. Brolly reviews your existing insurance against your lifestyle, and identifies any inefficiencies – for instance it could tell you you’re paying twice for the same thing, or show you which insurance you’re missing. It will also be able to sell you new insurance policies, helping you find the most suitable product, and continuously monitoring the market for the best deal. The insurance sector lags behind banking and asset management in terms of both innovation and digitization. That may be changing, as insurtech is attracting significant attention and investor dollars. This is welcome news to entrepreneurs who have long viewed insurance as a target-rich environment. Phoebe, who serves as Brolly’s CEO, is a former underwriter and product manager with Aviva. We originally met in London and recently caught up by phone. Q. Phoebe, can you walk me through the first iteration of your product? A. The app, as it stands, has three key features: the Brolly Locker, the Brolly Advisor, and the Brolly Shop. They help with managing, understanding, and buying insurance. The Locker has been designed to help people with their existing portfolio of insurance, because managing your insurance today is a very fragmented experience. There’s nothing that pulls everything together, so the Locker is there to do that with your existing insurance policies from any provider. The Advisor looks at what you’ve already bought, analyzes what you need, and then suggests what an ideal insurance portfolio looks like. So, it will show you where you may be paying for the same thing twice, or show you where you may be missing a product that is actually really crucial, or a high priority for you. It will explain the benefits of that product. Or, the opposite of that: it might point out where you are buying a product that you don’t really need. Finally, there’s the Brolly Shop, and that’s our most demanded feature, which we’ve just launched. It’s still in beta, but that’s where customers can actually purchase coverage through the app. That completes the cycle. We help you manage your existing products, we tell you where you may be under-insured or over-insured, and whether you need to purchase something. When your renewal comes up, we help you to get protected. And when you purchase insurance through Brolly Shop, your policy will be stored in your Brolly Locker immediately, and can be managed through the app. Q. Which products are you selling right now? A. Our first product is travel insurance. Q. What have you learned by offering travel insurance to your beta users? A. We’ve learned that we can build products and get them to market! This was quite a big one because it was the first. We had to build payment processing, we had to get all of our compliance signed off. We had to be able to bind policies and produce policy schedules. For us, it was really proving that we could do all of these things. And we’ve had feedback, now, from customers who have started buying through us, which has produced suggestions and additional feature requests. Q. Which insurance carrier are you working with? A. Our travel insurance partner is ERV, which is Munich Re’s UK travel brand. A. We choose to do travel first because not only is it one of the most taken-out products by our customers, but it’s quite a small, simple product to test with. To do a quote form on home or motor, you’re looking at question sets that are four to five times the size. We wanted something we could build relatively quickly so we could validate some of our hypotheses. We’re going to offer a range of products but this was the most sensible one to start with. Q. Travel seems like a natural fit for an app. But you decided to do an app before you decided to launch with travel. So, why an app? Why not a website? A. In the beginning, we weren’t tied to either. We saw the way people use their smartphones in their everyday lives and it’s clear they expect to be able to do anything with a few taps. But there weren’t really any ways to do insurance in an app two years ago – and in many cases still today. We don’t believe insurance is too complicated for an app as long as you build an excellent user experience. So, we thought we’d start with an app and then we’d build a website. But we’ve had absolutely no demand for a website! We get requests for all sorts of things from our customers but we’ve never been asked for a website. We’ll always build what our customers want us to build, but we don’t see any demand. Q. You’ve mentioned that you’ll have a revised iOS app and a brand new Android app later this summer. A. We were quick to get a first iteration of product to the market to test with. That allowed us to learn a lot about what people want, particularly on the Shop. So now, we’ve totally rebuilt our app in a new programming language, React Native. The new app will look very different. It’s very beautiful and has all the fun, new branding, and Shop will be in there as well. Look out for a launch in August. Q. I like the concept of the minimum lovable product as opposed to the merely viable. Tell me more. A. I think the first (beta) version of our product was viable but not lovable. The next version will be lovable. We didn’t want to launch a product this summer that solved some problems for consumers but wasn’t enjoyable to use. We wanted something that will “wow” a little bit or just get people excited. It’s putting the time and energy into creating a high standard for the product we release. What we are bringing out this summer very much is a minimum lovable product in the sense that it looks fantastic and it’s incredibly easy to use. Once we have it out, we will follow with additional product releases. We’re not trying to build the full version for release this summer, but to get something out so that people can use it and then work with us to develop the next phases. Q. What feedback are you hearing from people who were invited to test your beta product? A. We’ve validated a lot of our early hypotheses. We saw that we are solving a real problem for people, which is what you want. We are seeing that people do have duplication in their cover, so people not realizing that they are paying twice or even three times for something. That’s been quite revealing. We’re seeing different trends in different demographics. The types of products that slightly younger customers take out versus the older ones tend to be quite different, which probably is not that surprising, but it’s still important for us. We’re seeing that lots of people are willing to share their data in order to get something back. We use an email scanner to help customers get their products into the app – we didn’t know whether that would be something that people would use, but we have a huge proportion of our customers connecting their email accounts. We’re getting requests to support additional email services. That was surprising, and that’s changed the way we are building the product. Q. Which insurance products are you tackling next? A. The next few that we are working on are home, motor, and bicycle. Q. Bicycle is interesting. Is it insuring against theft or crash? A. Yes, it’s often not adequately covered under contents, and it can cover both theft and crash. Q. Customers are providing you with a lot of very interesting, very valuable data. Do you plan to use that data to cross-sell additional needed coverage or to encourage switching to better or less expensive policies? A. Yes. We are getting a lot of data, and the data that we’re getting puts us in a unique position. Other insurance providers don’t have access to that holistic risk profile. Whereas most will have access to just your home, or just your motor, or just your travel, they don’t know which other products you’re buying and they don’t know how you’re claiming, and they don’t know how good a risk you are. The very nature of our product, by bringing things to one place, means we have access to all of that. We’ve got renewal dates, we’ve got premiums, we have trends over the years. We can see how someone’s lifestyle impacts the products they are buying. There’s so much data for each person, but I think the problem right now is that nothing is pulling it together. We’re trying to make sense of people’s insurance data and then help them to know where they stand and then help them work toward a better, fairer, portfolio. Q. Do you expect this will lead to creating new, perhaps Brolly-branded products that fit your consumers better because you know more about them? A. That’s exactly where we are going. We do get asked a lot why we don’t just build new products now. But for us, we only want to build them when we have the data to make informed product decisions. Once we have data to suggest a specific product isn’t working or needs to be built in a different way, that puts us in a tremendous position to build something that’s way more accurate and way more personalized to the individual. That will be how we do it. Q. Speaking of data, many insurtech startups find that accessing insurance and customer data for product development purposes is difficult and expensive, if not impossible. Has this been an issue for Brolly? A. Insurance is built on data; it would have been incredibly useful. But it wasn’t fundamental to what we are building to have it immediately. We’re building our own data set, and our data set is not something that really exists right now in any one central place. When we think about what to do with data, for us that’s using AI to better build products or manage risks. We’ve been quite good about making sure that our data is clean. That helps tremendously when your data set is smaller. We are testing models with the data we have. We’re starting to see significant results on some of the things we are testing. Q. Can you tell me more about how you are using AI? A. We’re using it in a few areas, one of which is in email processing, not because it’s a buzzword but because we want to make the experience better for customers without them even knowing it’s AI. The faster we can connect your email the better. We want all of someone’s policies in their Locker within seconds of connecting their email to our app. We’re testing AI to identify the appropriate emails more quickly than the algorithm we are currently using. It’s basically better filtering to improve the customer on-boarding process. The second area is in our Advisor. That’s how we will recommend products. That’s the next area where we’ll be using machine learning. Currently we are using an expert system, which is an applied area of AI but not machine learning. We’re building an ML model that analyzes insurance products of existing customers and then helps recommend the most relevant products to new customers who have insufficient cover. It’s pairing a recommendation based on other customers’ data with our expert system. Finally, in the longer term, we’ll be working on insurance pricing – being able to more accurately predict risks of customers and hence being able to price them more appropriately. That’s looking across product lines. How does your home interact with your motor and interact with your health? It’s a holistic model. Q. I’m curious as to why you choose Google’s solution for hosting rather than AWS. A. They’re both great hosting options. Google is just slightly more relevant to our needs. We use Kubernetes, which allows us to automatically deploy managed containers, and that kind of support extends to things like monitoring and logging. And, Google is working on supporting machine learning natively in the cloud in the future. We’re not doing that yet but is sets us up very well for when we are ready. Q. Insurance is an enormous market. How did you settle on this aspect of it – the customer relationship – for Brolly? Insurance is generally a low engagement category. What led you here? A. I saw that one of the biggest problems in the market is the fact that low engagement means that prices are going up significantly year-over-year for the most loyal customers. That’s where they make their money – if you stay with your provider, they put your prices up. It’s not a small amount. It can be hundreds of pounds each year. The problem is that inertia isn’t doing you any good. Also, your objective circumstances might be changing. Your home insurance risk might not be the same today as it was five years ago. Your contents sums may have increased, and that’s not accurately reflected if you haven’t changed your product. What we’re trying to do is help people have the best portfolio with fair prices, without having them do all the work themselves. We’re taking away all the manual stuff that they have to do today. A. Exactly, it’s designed to be engaging and easy for the customer to take control, and essentially supporting their decision-making. Q. Brolly is free to users. What is your revenue model? A. It’s a typical broker model. Our insurance partner pays us a commission for every policy that we sell. A. Predominantly people who live their lives on their smartphones, who already buy multiple insurance products but who don’t have the time to shop around for their insurance or stay on top of their products. They’re using apps to simplify their lives, so they’re engaged with tech products. These are the people who use Uber, they use Airbnb, they use other fintech apps. They’re also frustrated with the insurance model but don’t currently have a solution for that. Q. Interesting that it’s based more on behaviors than on demographics. How do you plan to reach these folks? A. We’re already building an engaged community of users who believe in the vision. We have customers who are involved in the journey, who come and have lunch with us and are making suggestions for product development. We get a lot of people coming to us through word-of-mouth. We’re also working with various partners who are unable to support their various customers in the longer term and they are trying to find ways to support them through the types of tools that we’re building. We’ll soon be testing various online channels for efficiency in reaching people. So, it will be a combination of things. Q. You are bringing digitization and transparency to an industry that is generally neither digitized nor transparent. What are the challenges? A. I left Aviva almost two and a half years ago. Behind the scenes and within the insurtech community there’s a lot going on. But, what people are actually doing hasn’t changed. People are still purchasing today the same way they were then. Our biggest challenge, actually, is building as fast as we want to build to get things to market, as that involves working with insurance partners and the sales cycles can be long. The challenge after that is educating people, sharing the narrative, and showing how much we can really help them. That’s what’s going to be key to our success. A. We’re an appointed representative of a broker. This was how we could get to market quickly. Q. You participated in the London-based Entrepreneur First program, which is different than most accelerator programs and does not specialize in fintech or insurtech. What can you tell me about your experience there? Do you recommend it to others? A. Entrepreneur First is deep tech focused. They’re concerned with helping you find a co-founder and building your business in the earliest stages, which is why I joined them. There were other options out there that were fintech focused, but what compelled me was that it was really important that this be a tech company. Insurance is our product but this is an engineering company at its heart. I needed a co-founder who is incredibly talented in his or her own area. So, whereas I bring the insurance expertise, they needed to bring the tech expertise. That worked – I found my co-founder Mykhailo Loginov. He’s absolutely incredible. They work with you for six months. They invest in you, in a significant way, and they give you advisors. It’s not 100 mentors who each give you an hour. You work with one advisor, an ex-entrepreneur who has built and scaled a large startup. They work with you very closely through that six months and then for 18 months after you come off the program. They help you throughout your fundraising, as well. I’m as big an advocate as they have, as you can probably tell. I would hands-down recommend it to anyone because I just think it’s the best accelerator program. I absolutely loved it. It’s growing its reputation now in a big way, globally. They’ve had some big successes: Magic Pony which sold to Twitter for $150 million, for instance. They’re an amazing team. Q. Now you are part of Innovate Finance. How are you finding it? A. I like them. They’re an organization that’s there to support the wider FinTech ecosystem. They hold useful events, and I think one of the benefits is that they are quite proactive with introductions, which is quite good. Some of the people involved with our company now, we’ve been introduced to through Innovate Finance. They’ve turned into really great relationships. Q. What was it like being threatened by Travelers over your original logo? A. What’s it like? I remember getting the letter from them and thinking, “Really?” I was kind of shocked, I suppose, in the first instant because I didn’t see any similarity between our logo and their logo. Also, I was somewhat flattered that such a large organization had targeted us, a startup. First, it was a few different emotions, and then problem-solving mode. How do we deal with this? Can we ignore it? Do we fight them? If we fight them, will we win, and how much will that cost it terms of money and time? After getting advice from lawyers and thinking strategically, we decided the better option would be to rebrand. We could come up with something that still reflected our values. Q. It sounds like people really stepped up to help you. Tell me about crowdsourcing your new logo. A. Yes! We were completely blown away by that. We started trying to do it ourselves, to come up with a new logo. The difficulty was we were coming up with all sorts of different designs, but we didn’t love any of them. We kept saying, “Well, we love our old logo.” It was really difficult. So we said, “We need more brains on this.” That’s when we decided to reach out to our community. We thought that even if one person sent something in it would be great because asking someone to draw an idea and send it we thought would be quite high-friction – but we got hundreds of entries! We just didn’t expect that at all. Not only that, but the discussion around it, the support – we had people writing to us, writing blogs about it – it really blew up. The Financial Times even put a piece out on it. It kind of spiraled. Not out of control, but to a really good place. It was a great outcome. A couple of the suggestions – which we believe now were jokes – were to turn it upside down. When we first saw that, we thought, “that’s such a brilliant idea”. It means we keep the logo, but it’s significantly different. It couldn’t be construed in any way as similar to the Travelers logo in that form. So, it was a great experience. We had 150 people at our launch party – another surprise. It was a fantastic outcome. We’re really pleased that we did the rebrand. Q. Very early on, you were looking into a peer-to-peer insurance model. What caused you to change direction? A. I wrote a paper (not published) on what I thought peer-to-peer could be in the future, and I still have that model in my head, but it’s not peer-to-peer in the sense that you often see in the insurance market where you get a group of customers together and then give them money back. It’s more true peer-to-peer where it’s between the buyer and seller. It’s more similar to the Lloyd’s market. You have private investors and they make returns based on the underwriting profit. I still love that as a concept – sort of bringing Lloyds to the mass market. I do think it’s possible. But after doing customer development in our early phases, we realized that most people don’t know what peer-to-peer is (and don’t really care about it). We’re in the business of solving people’s problems. Whatever we do in the back end – whether it’s peer-to-peer or raising our own capital – whatever it is, the most important thing is engaging customers with a product people want. With a product people want, we can always figure out a different business model on the back end. Later down the line we may explore that again. Q. Much insurance innovation is tied to a single country or market because of the fragmented nature of insurance regulation, but Brolly sounds like it could be portable to the rest of Europe or the U.S. Do you plan on early international expansion or will you concentrate on the UK? A. First, we are focused on the UK. It’s a huge market. It’s important that we get it right here before we move elsewhere. Q. Who are your competitors? Do you consider Knip a potential future competitor? Or GetSafe? Check24? A. They certainly have a similar type of product, particularly in terms of Locker, but they’re in different markets. We don’t really see other insurtechs as competitors. We see our competition as the current marketplace and how people are behaving today. We see our key competitors as price comparison sites. They don’t see us as a competitor, yet. But that’s whom we’re competing with. Q. What do you hear from traditional brokers? Are they concerned that you might be trying to disintermediate them? A. We do talk to them and we try to understand their problems because a lot of brokers in the UK – there’s over 1,000 – are not getting new business in the same way that they used to. A lot of the products that you see on price comparison websites are placed there by brokers, and those brokers then have their own panels of insurance. There’s effectively another party in the supply chain. What we hear is that the price comparison market is a loss-leading channel for them, with a lot of churn, which makes it very difficult to maintain a sustainable business in the long-term. They’re constantly competing on price. The conversations we have with brokers are about trying to understand how we can help them out of that, by maximizing the value of their customer base with the proposition that we’re building. A. We are. We are looking for fantastic engineers, great marketers, and a designer. We are also building a customer success team. This entry was posted in Insurance, Startups and tagged accelerators, London, P2P insurance by jim. Bookmark the permalink.